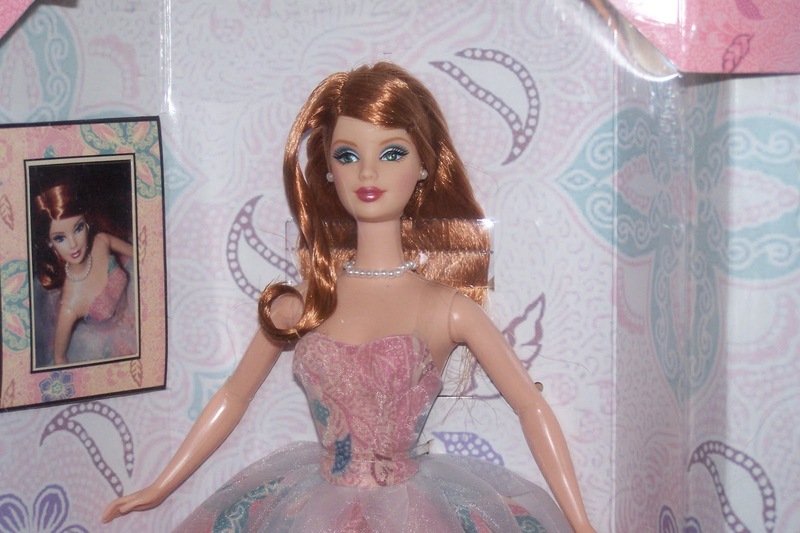 Really, I don't collect bears, and the only collectible Barbies that I have are the Wizard of Oz characters Dorothy and the good witch. So when I went to an auction recently of dolls, bears and toys, what did I walk out with? Bears and Barbies!! I also have an aversion to dressing up bears, but what happened when we got home? I tried all the doll hats and that gorgeous little crochet collar on them, and they looked pretty snappy, I must say. The little bear on the left is a very poorly 1950's Chad Valley bear. 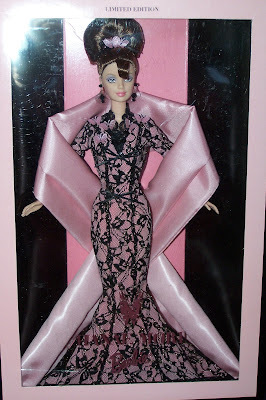 She (I have decided she is a 'she') will need to go to doll hospital to get a new eye, some more filling and the right pads sewn on her paws. Not being a bear expert, I am not sure how much repairs you should do, but I am sure the hospital will know. 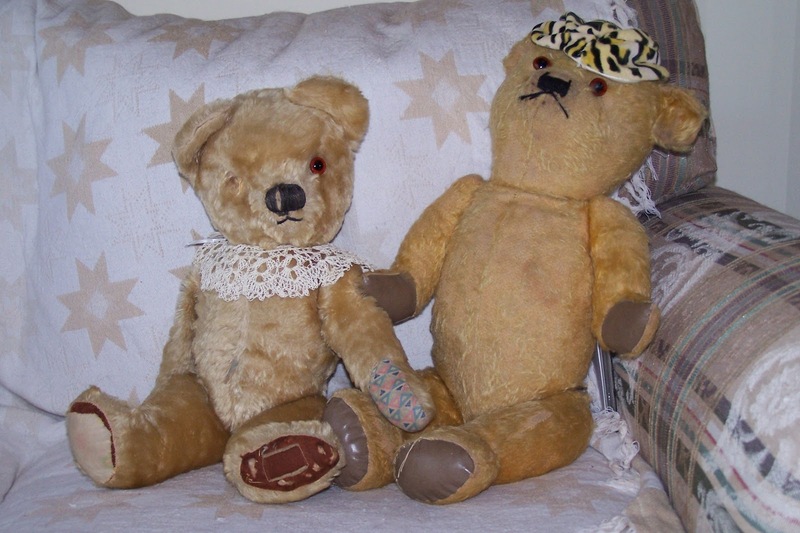 The chap on the right is an Australian Emil bear from the 1940's. He has a crier which was meant to work a bit, but I have not managed to get him to growl so far. 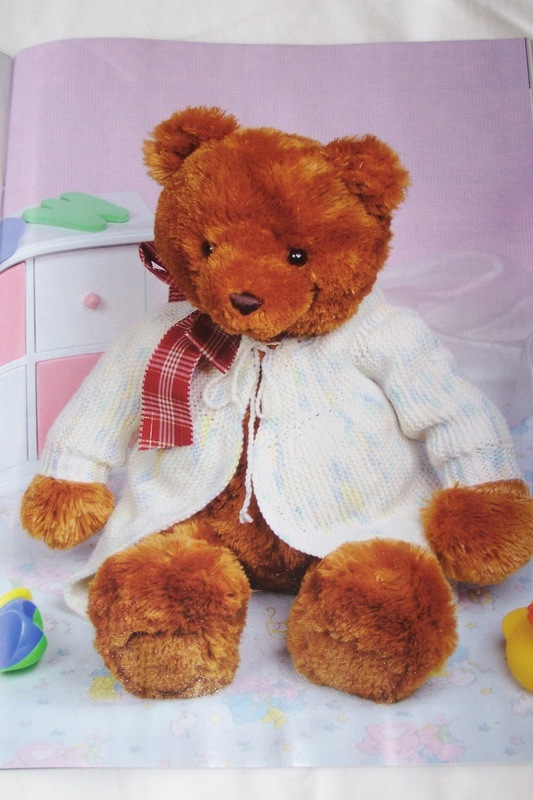 As he is so thread-bear (ha ha), Mum said that she would knit him a sweater, and I will make him some overalls. I found this pattern for a jacket in vol 19 number 2 of Australian Dolls Bears and Collectables, but I am not sure it is manly enough for him. Perhaps if Mum knits it in a darker colour, it will look fine. 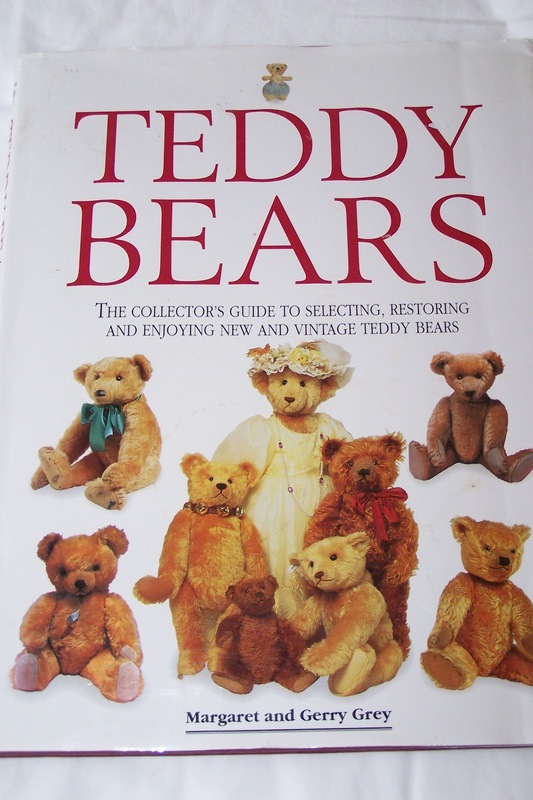 Then in the op shop this morning, look at this great book I got on collecting bears. It covers bears from all over the world, including old and newer artist bears. There is also a small section on Australian vintage bears and how to store and clean your collection. What a find! 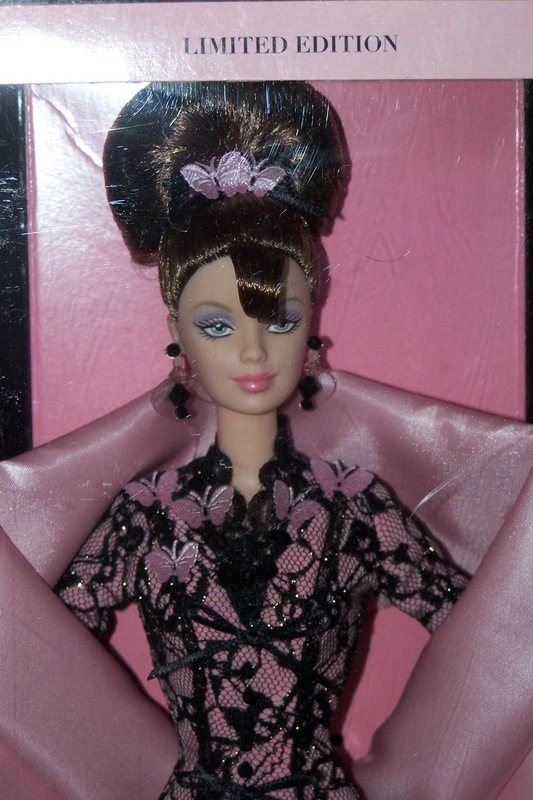 Ok, now on to the Barbies. I got 3 in the one lot, and like the bears, I bought them at a very reasonable price. 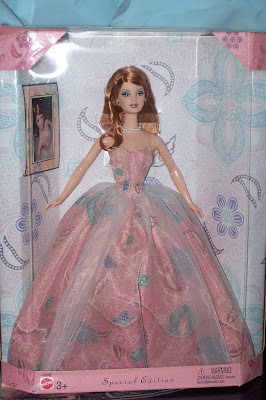 I missed out on the vintage look Barbies that I really wanted, but I wanted to keep within my limits at this auction. 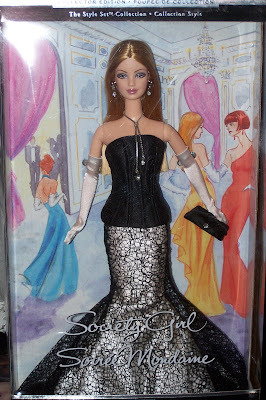 And a 2001 Society Girl Barbie with a lot of French writing on the back, in fact I like the box the best for this one because of the watercolour sketches behind her and on the back of the box. I still have not started on my next project, but I promised myself a summer top made out of some of my Liberty fabric, so I might do that next. I don't collect bears either but I seem to have at least 30. I only get them if they're really really cute and if they're at Goodwill Bargain Bin or Salvation Army Warehouse, because I know the next step after that for them is the Landfill. And I've really cut down on my Barbies.